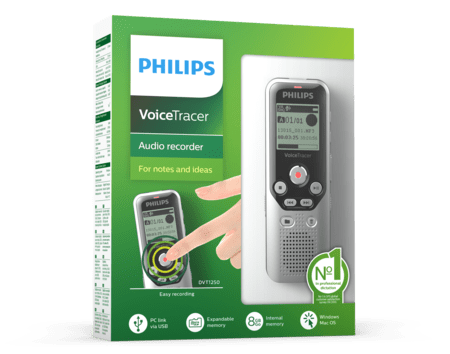 The VoiceTracer 1250 is the perfect voice recorder for capturing notes, ideas and thoughts on the go. Thanks to the micro SD memory card slot you can easily expand your memory up to 32 GB. Voice activated recording is a convenience feature for hands-free recording. When enabled, recording will start automatically when you start speaking. Recording stop automatically after you stop speaking and restart automatically when you start speaking again.